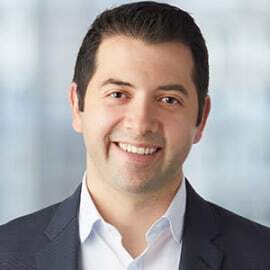 In his role as CEO & Executive Director, Yuri Navarro brings his unique mixture of public and private sector experience to help expand NACO's role as the leading organization representing Canadian Angel investors with industry and government. At NACO, Yuri oversees the entire organization's strategic and operational objectives. Since 2012, Yuri has presided over the renewal and growth of Canada's National Angel Capital Organization (NACO) with a mission to support the growth and professionalization of Canada's Angel asset-class through valuable connections, resources, best practices and research. Yuri has also supported the development of Canadian small businesses through his work in the Ontario Government, where he served as a Policy Advisor, then Chief of Staff, to the Minister of Economic Development and Trade and as a Policy Advisor to the Ministry of Energy and Infrastructure. A graduate of Ryerson University's Commerce program and George Brown College's Financial Planning program, Yuri holds a number of designations with the Canadian Securities Institute.